Browse energy-drinks suppliers by country and region. 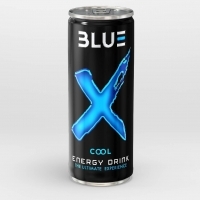 BLUE X ENERGY DRINK move forward modern people in a dynamic world. BLUE X combines various vitamins together. As never before, in order to fully enhance the effectiveness and provide valuable benefits to the body in all parts BLUE X helps to give energy to the body, enhance the nervous system and brain. Which also helps to improve the use of eyesight and better vision performance with vitamin A and many other vitamins. To help the body Work together systematically with better efficiency. Short on time? Let energy-drinks sellers contact you. 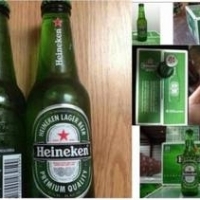 We now have Heineken Beer in different Bottles and can sizes available and ready for sale Best prices offered. We do fast and safe worldwide delivery. Please visit our website and contact us for more details. You can call, text or email us anytime using our contact details on our contact page or website; and one of our consultants will get back to you asap. 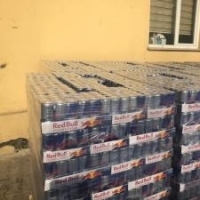 Listen to the translation Capacity: 250ml Bring comfort Spirit of stability, concentration of thought Use before and after operation\r Brand: Redbull\r Made in Viet Nam\r Redbull energy drink is one of the leading energy drink brands in Vietnam market. 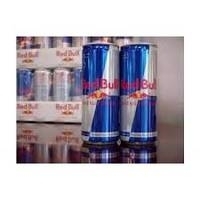 Red Bull provides a pleasant feeling for consumers after stressful working hours or when tired. Main ingredient: Sugar, caffeine, vitamins, taurine .. 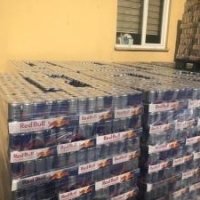 Highlights: Bring comfort Red Bull will bring a pleasant feeling to consumers after hours of stressful work or fatigue because there is a certain percentage of caffeine and taurine in the Red Bull ingredients - substances that create a sense of excitement. and awake. Spirit of stability, concentration of thought In the 'bullock' energy drink contains caffeine, sugar, taurine and some B-group vitamins. With these ingredients, users will have a sense of mental stability, focused thinking, and feeling. sublimation, all tiredness dissipates when drinking. Use before and after operation Should be used before and after physical or mental activities that require intense efforts such as sports competitions, brain balance in competitions ... However, should not abuse this drink too much because of it Containing caffine is not good for health. Abuse of caffeine easily causes dehydration and loss of calcium, potassium and magnesium minerals through the urine. Preservation: Cool place, do not leave near hot sources or under direct sunlight of the sun. Best used at 10C - 15C. Brand information: Red Bull is an energy drink owned by Austrian company Red Bull GmbH. This drink was invented by Austrian businessman Dietrich Mateschitz in 1987. 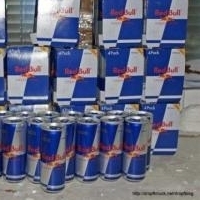 Inspired by Krating Daeng energy drink, Dietrich Mateschitz invented Red Bull. 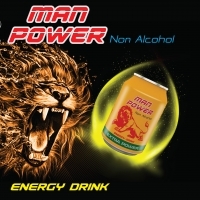 Based on this type of energy drink, Dietrich Mateschitz changed ingredients for flavor to Westerners, then founded Red Bull GmbH in Austria with partner Yoovidhya Chaleo - the company that invented furniture. 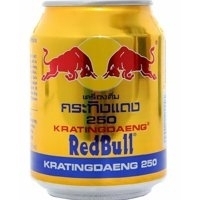 Krating Daeng energy drink in Thailand. Red Bull is considered one of the leading energy drink brands in Vietnam market. Vietnamese users often call Red Bull with a more common name 'bull hump' because the logo of the product has the image of 2 cows 'ramming' each other. Bottled water, red bull, wheat drinking straws, hair weave. Food and beverage including all raw materials, ingredients, packed and canned foods, soft and carbonated drinks and juices, food and packaging machinery, figs.International trade, shipping, packaging and buying and delivery oversight. Chickpeas, almond nut, cashew nut, peanuts, salmon fish, tilapia fish, prawns, mackerel fish, sunflower oil, red bull energy drink, omasum beef, Heineken beer, salmon fillets, haddock fish, COD fish, Pollock Fish, Aptamil, A4 paper, A3 paper, Nutella chocolate, Kinder joy , Corona beer, Beck beer, Nido milk, Nido fortified, Ferrero rocher chocolate , Nutrilon Milk , Cow and gate milk , salmon fillet, Atlantic mackerel, Atlantic COD and cod fillet.